BC program forms teachers for urban Catholic schools. Published 11/26/2010. Local. 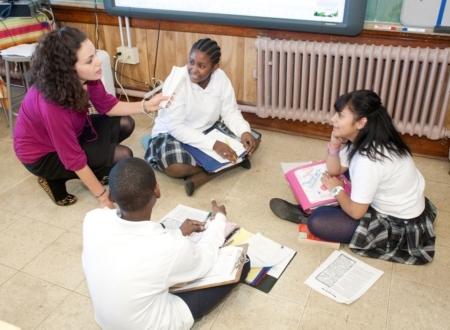 DORCHESTER -- Guided by its four pillars -- teaching as service, spirituality, living in community and simple living -- the Urban Catholic Teachers Corps (UCTC) forms young teachers for the Boston-area's urban Catholic schools. The UCTC, administered by the Lynch School of Education at Boston College, is a volunteer teaching program for recent college graduates with a bachelor's degree in education. Each year, the program places about a dozen teachers in urban Catholic elementary and high schools in and around Boston for a two-year full-time teaching commitment. Every year, the program includes a 50-50 mix of first and second-year teachers serving roughly ten schools. Simultaneously, the teachers pursue a master's degree at Boston College in the Lynch School. Teachers begin their master's degree classes after Christmas of their first year. Program director Karen Kennedy said that she looks for candidates who embody the program's four pillars when evaluating applicants. "We really want someone who wants to live these values in the UCTC and beyond their own classroom and school culture," Kennedy said. Some of this year's UCTC teachers said those pillars, as well as the entire experience of being in the program, makes them more effective in the classroom. "Having the four pillars of the program, you have to find that balance," said Mary Kate McCoog, who teaches fourth grade at South Boston Catholic Academy. "That makes a good teacher -- finding a balance in your life." "It makes us better teachers," said Sarah Popper, a first grade teacher at Trinity Catholic Academy in Brockton. "Not only are we benefitting but our kids are benefitting from us being in the program." The UCTC teachers live in the former convent of St. Matthew Parish in Dorchester, which includes a common area, library stocked with teaching materials and a chapel. Patrick Carpenter, the program's house manager, said that living in community helps the teachers improve personally and professionally. He described it as "13 people all here for the betterment of each other." Carpenter completed the program last year, but remained as house manager this year. He teaches second grade at St. Patrick School in Roxbury. "My first year teaching, I couldn't have imagined getting through it without a community," he said. Kennedy, the program's director, said that communal living enable teachers to brainstorm ideas with one another, and "laugh with and cry with" one another. Kennedy also said that program's value lies in the quality of teacher it provides the nearby schools. "What they get is a young, very energetic, passionate and creative teacher," she said. "They get a teacher who is well-trained and ready to take on their own classroom." Maureen White, principal of Elizabeth Seton Academy, has one UCTC teacher on her faculty this year. White said a benefit of the program for her school is that it creates an environment where rookie and veteran teachers and administrators learn from each other. "We're a small, nurturing, caring faculty group," White said. "It's a rich fertile soil and when you put the seed in, it blossoms." The teachers typically return home from school around 6 p.m. for dinner. Every Monday through Thursday, two members of the UCTC cook dinner for the group. "It was in that sharing and that breaking of bread, which is in our faith tradition, there was some amazing grace that came out of that during my time there," said Caitlin Keeton, who graduated from the program in 2008 and is now the principal at St. Rose School in Chelsea. "Some days are so bad it's easy to lose track of why you're there and what you're part of," Keeton continued. "It helps to share in the good stuff, too. When you have a great day and something funny happens and you don't have anybody to tell it to, it sort of gets forgotten." Every Tuesday night, the UCTC meets for prayer and reflection. For first year teacher Maureen Walsh, the spiritual component of the program is enriching. "It carries you through the day in a way that you know you're doing God's work," said Walsh, who teaches math and science at Elizabeth Seton Academy in Dorchester. Scott Hess, who teaches grades 4 through 8 science classes at St. Columbkille School in Brighton, said the UCTC teachers attend Mass in groups or individually. 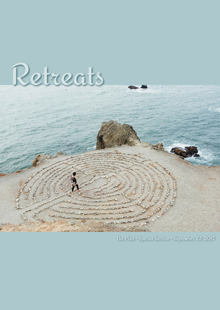 The spiritual component of the program also includes group retreats, which are held in the summer, fall and spring. The UCTC graduated its first cohort in 1999. It was founded when Peter Lynch, one of the major donors of the program, saw a similar program in Chicago and wanted to implement the idea in Boston. Since that time, the program has graduated 63 teachers. 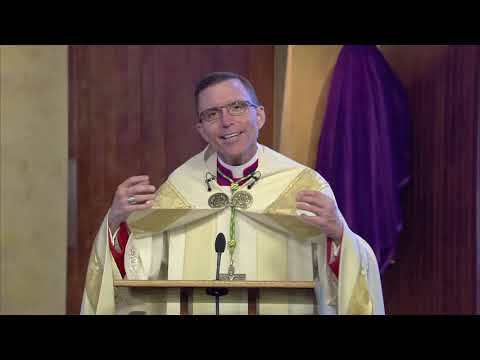 Lynch said he wanted to start the UCTC program to place young teachers in urban Catholic schools, which at one time were nearly fully staffed by religious, but now are nearly all lay faculty. "These are outstanding individuals with a lot of enthusiasm. They're young. They have a lot of new ideas," Lynch said. "It's refreshing for the schools. You get someone in their 20s with a lot of vision."